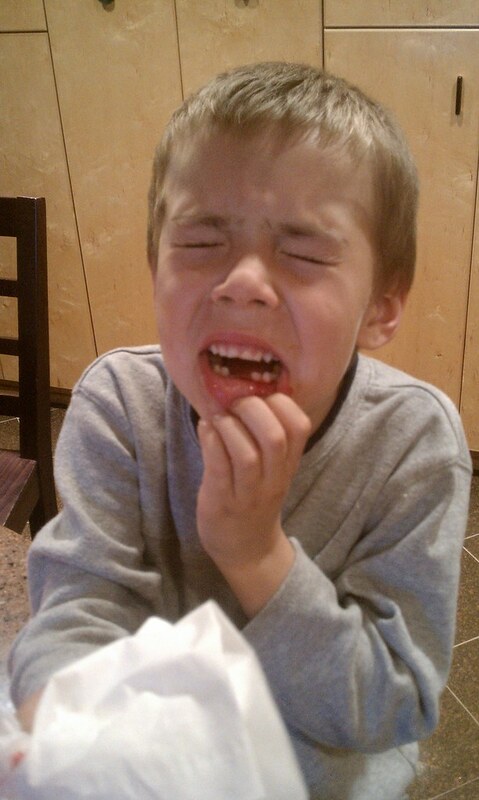 You are here: Home / Our Blog / About Our Office / Orthodontic Emergency? We can help! If your orthodontic appliance is poking you, place wax on the offending part of your appliance. Sometimes headgear discomfort is caused by not wearing the headgear as instructed by your orthodontist. Please refer to the instructions provided by your orthodontist. If the face bow is bent, please call our office for assistance. Surprisingly, headgear becomes more comfortable the more it’s worn, so be sure you’re getting in the prescribed hours. When you get your braces on, you may feel general soreness in your mouth and teeth may be tender to biting pressures for three to five days. This can be relieved by rinsing your mouth with a warm salt-water mouthwash. Dissolve one teaspoonful of salt in 8 ounces of warm water, and rinse your mouth vigorously. If the tenderness is severe, take aspirin or whatever you normally take for headaches or similar pain. https://childersbraces.com/wp-content/uploads/2012/06/first-aid-case.jpeg 334 500 DrCAdmin https://childersbraces.com/wp-content/uploads/2016/10/logo-childers-orthodontics.png DrCAdmin2012-06-18 11:53:292019-03-06 08:58:13Orthodontic Emergency? We can help! Making Your Life Better with Orthodontics Stay Cool with a Braces-Friendly Summer Treat!